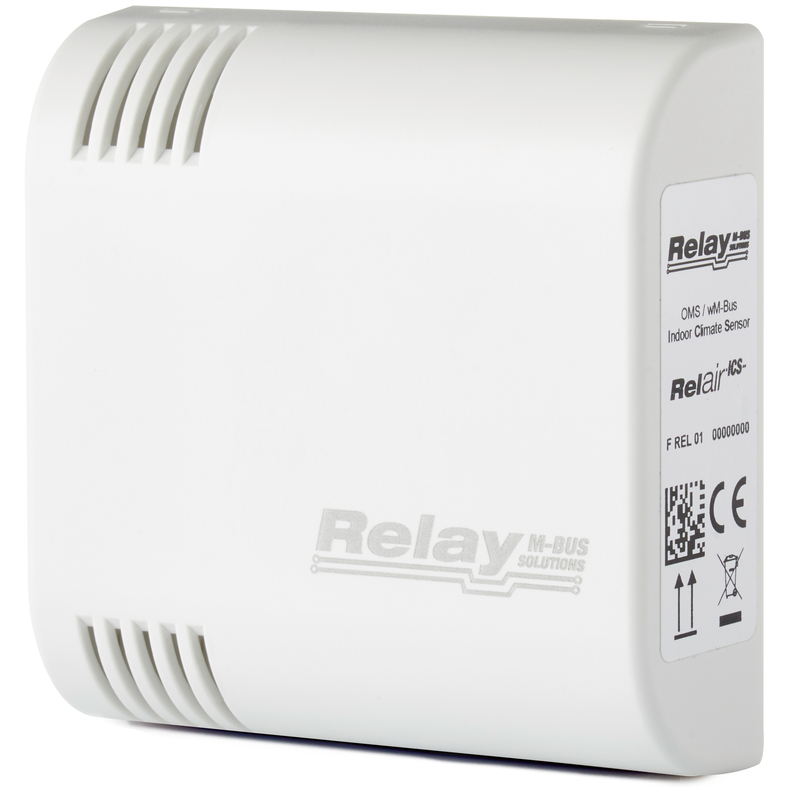 The RelAir ICS is a wireless M-bus indoor temperature and humidity sensor. Our sensor fits into your OMS wireless network and allows you to reliably monitor the current values. The elegant housing with its easy mounting contributes to the easy installation of the RelAir ICS. The integrated batteries, which eliminate the need for an additional power supply, do the rest. Depending on the setup transmission interval, the battery can last more than 10 years. If the battteries are used up, they can be exchanged very easily. Another user friendly aspect of the installation concept is the DIP switch configuration of transmission interval and wM-Bus mode.